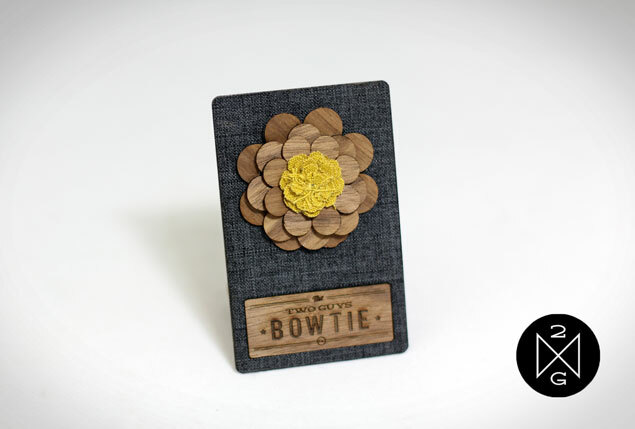 This week’s Vendor We Heart is definitely one that stands out from the crowd. 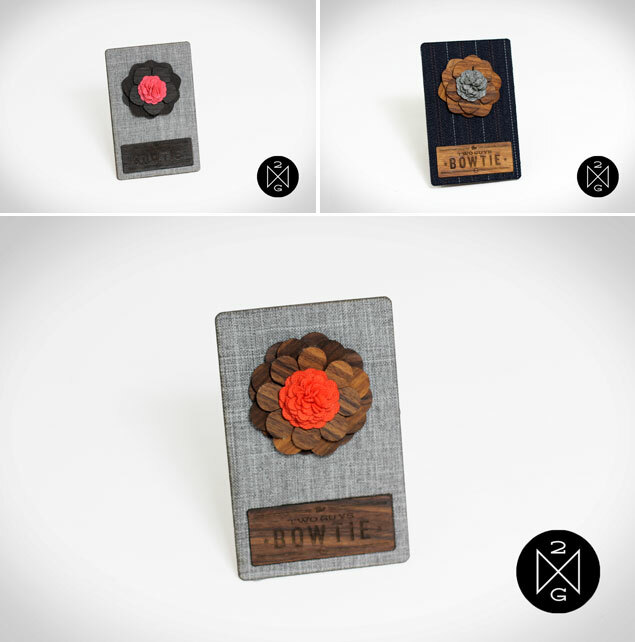 � Two Guys Bow Tie is home of fabulous accessories for dapper dudes. 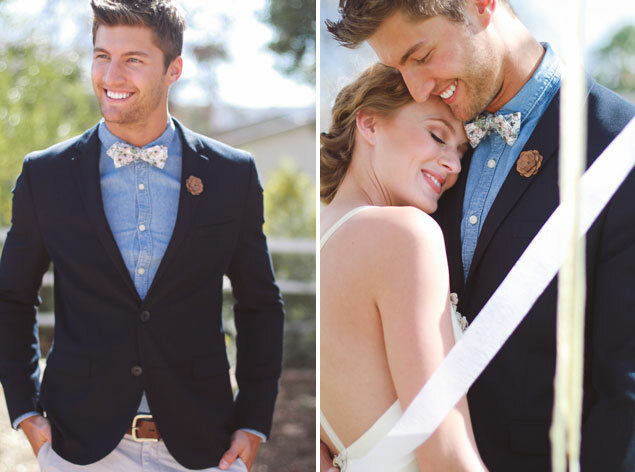 This wonderful company creates high quality, handmade wooden bow ties and flower lapels that will have your groom and his men rocking some serious style. Ladies aren’t the only ones who can make a statement with their accessories! Two Guys Bow Tie allows the fellas a spotlight in style too. 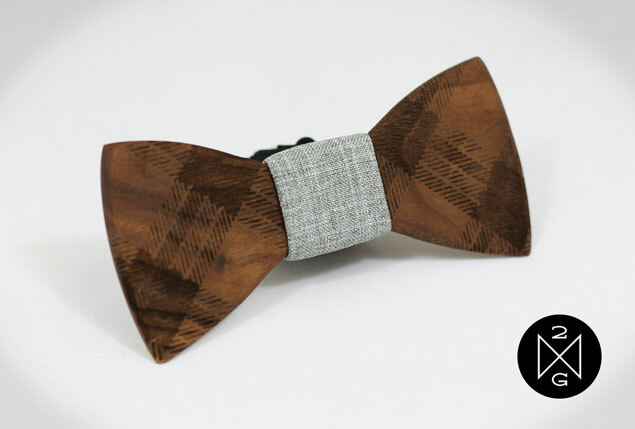 These wooden accessories are great for grooms who want a modern, unique style on their wedding day. 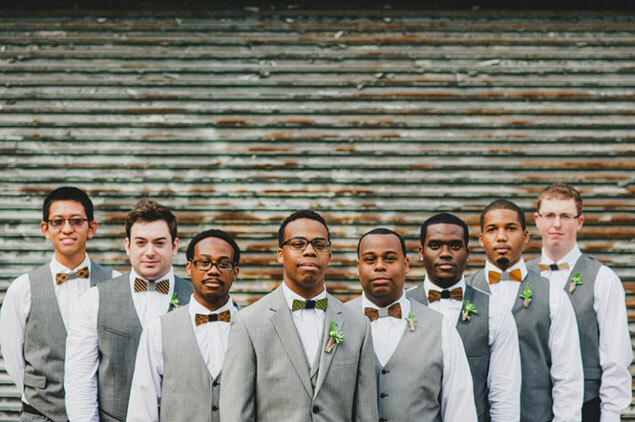 Plus, these accessories make the perfect groomsmen gifts! What options for customization do you offer? We offer a wide range of customizations. Basically, if you can dream it we can create it. 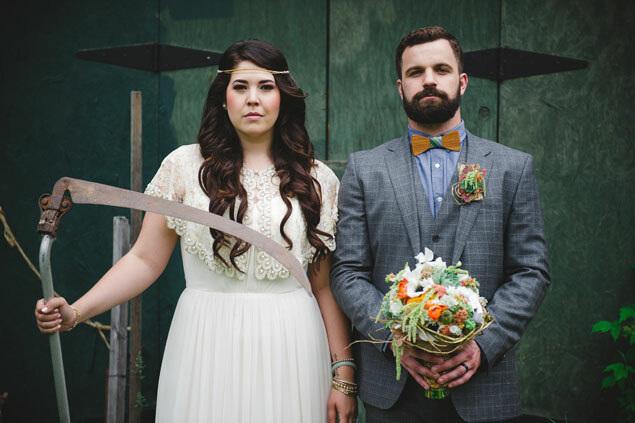 Many choose our custom wedding package (minimum purchase of 5 bow ties with pricing based on wood type ($45-$75) rather than $90 regular custom price) which allows you to pick the wood type you want and choose the fabric for the centerpiece. You can even pick out the fabric yourself and send it in to us and we will put it on the bow ties. We also offer custom engravings for the back of the ties which really makes each tie personal whether as a groomsmen gift or a cherished heirloom for the groom. 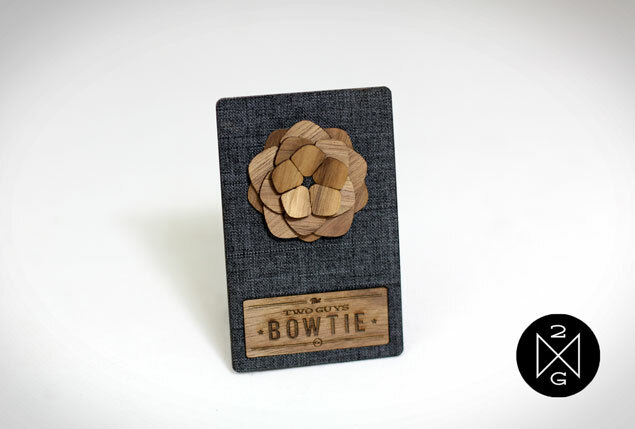 If you want a custom patterned engraving on the front of the bow tie or a hand painted bow tie with a specific pattern etched on the front we can make it happen, really, the possibilities are endless! 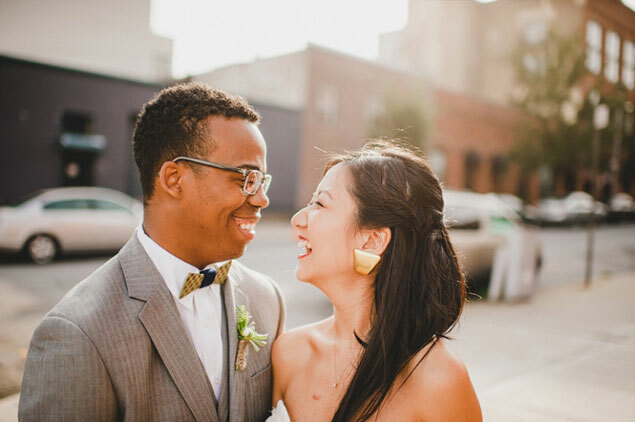 If you could give one tip to couples who are planning a wedding, what would it be? Be true to yourself. 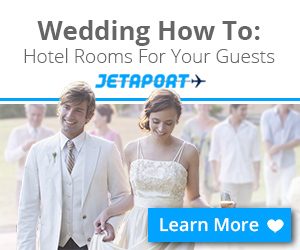 There are so many options for styles, colors, themes out there for weddings but when you look back to your wedding day, you want to think about how the day really encompassed you and your spouse’s personality. Do some research, don’t jump on every trend you think you love at the time and really take some time to think about who you are as a couple, not as wedding designers. You will be able to look back on that day after several years and still love everything about what it represented. Does your work embrace a particular style? 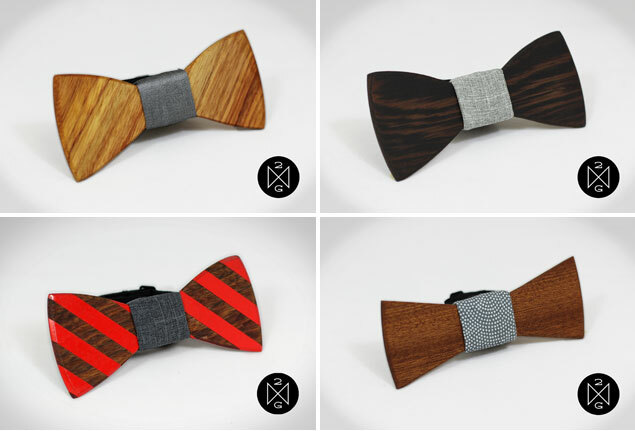 When you think ‘wooden bow tie’ the first thought might be, ‘it takes a particular person to wear that.’ Well let me tell you these ties look great in many different stylings. 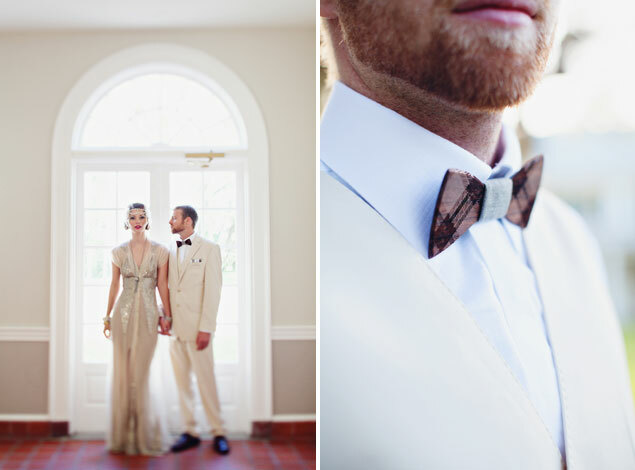 We have 43 different bow tie styles and we have seen them worn in several different settings. We have seen them in Brooklyn, NY in a very urban industrial setting- looked awesome, we have seen them in Dallas, TX where the wood went along with a more rustic theme- looked awesome, Vancouver, Canada in a eclectic, woodland feel- still awesome, I could go on but they really do enhance the style you are looking for no matter what that might be. 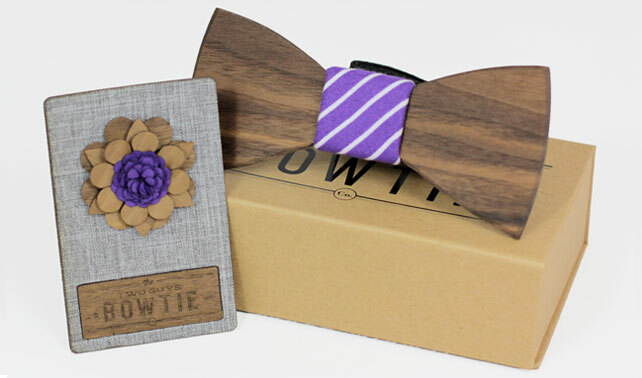 Our wooden bow ties and wooden lapel flowers, that make great boutonnieres, are unique because they are handcrafted from start to finish here in the fashion capital of the world, Tulsa, Oklahoma. We love creating these but we love even more partnering with people to help bring their ideas to life and help create a cohesive wedding look they will absolutely love. We are also unique because when you email or call us with questions, we answer quickly and meaningfully! 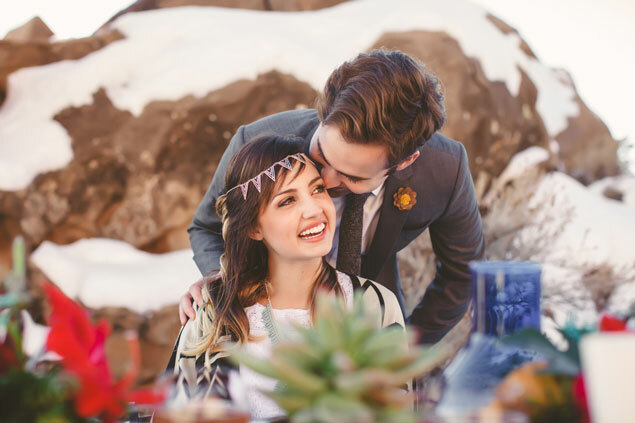 We are on the other side of the computer or phone working to make the experience fun, exciting and definitely stress-free- we all know how wedding planning can be sometimes. Wedding Cake, cupcakes, or a candy/cookie bar? Which is your personal fave? Definitely wedding cake. First you can stare in awe at how they made such perfect roses out of icing or how completely smooth each tier is stacked, it really is a work of art. Then, you get to delight in the deliciousness it brings! If you had to choose one word/phrase to describe your business what would it be? “We Give Old School Craftsmanship Modern Style” – It really encompasses what we stand for as a company. We want to possess quality, hardworking craftsmanship while pushing it forward to create something fresh, modern and unique for a daring new generation of men. 5 Things that make you happy?